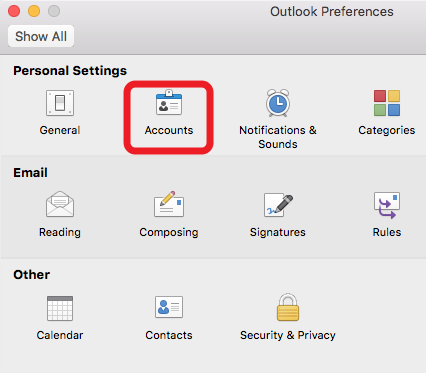 How to access Staff O365 account with Outlook 2016 for Mac? 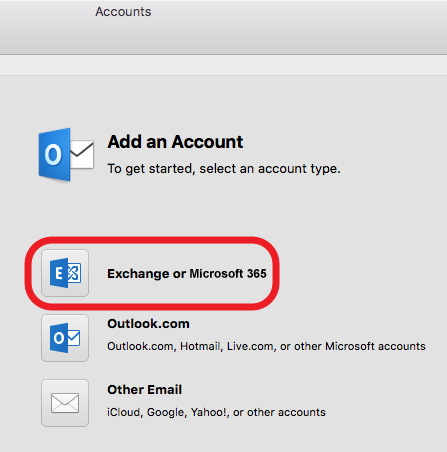 When Accounts window appears, type your O365 Email address (e.g. 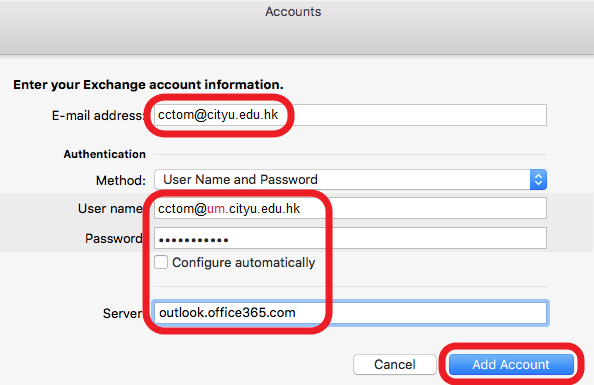 cctom@cityu.edu.hk) to the E-mail address: text box, and YourEID@um.cityu.edu.hk (e.g. 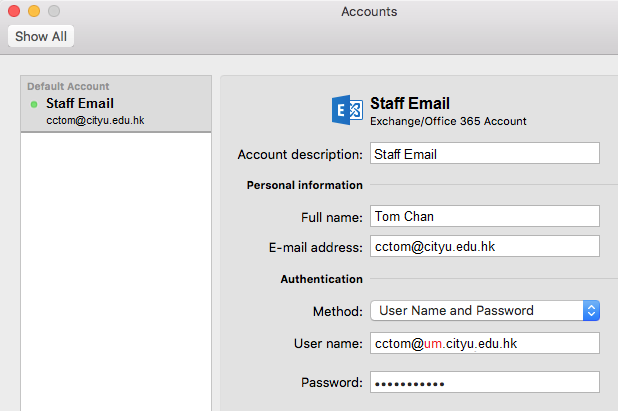 cctom@um.cityu.edu.hk) to the User name: text box. (It is @um.cityu.edu.hk, not @ad.cityu.edu.hk). Key in password, clear the Configure automatically check box. 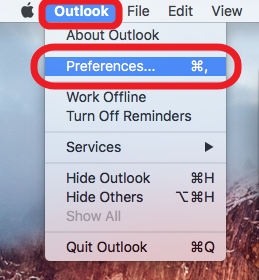 Type outlook.office365.com to the text box Server. Click Add Account to continue.